Cycling breaks with a delightful difference!!!!! Browse these for details and FREE Cycling Tour Brochures!!!! Something in the unique field!! Pedal Wessex without a care - and why not indeed. It is a beautiful area. 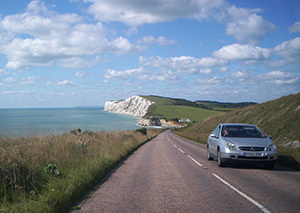 As they are so good we have included routes all over England as well as Wessex. Go for it. Wonderful. There are so many cycle ways all over the region that it is possible to spend ages pleasantly exploring them. All levels of difficulty from the ride with the family to some quite challenging countryside. If you are coming from abroad then choosing is more difficult of course. Or if you would like to pedal with your accommodation booked and everything organised in advance then this is the way to go. scroll down for lots more!!! Then click for even more pages!!! !